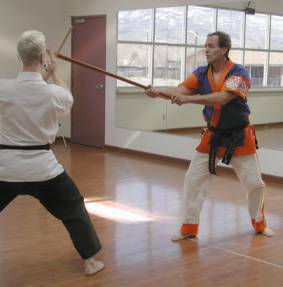 Kwan Um Do Kwang is a Zen sword practice that includes sword, long stick, striking arts, and self-defense techniques. At the heart of Kwan Um Do Kwang is traditional Buddhist temple sword martial arts. 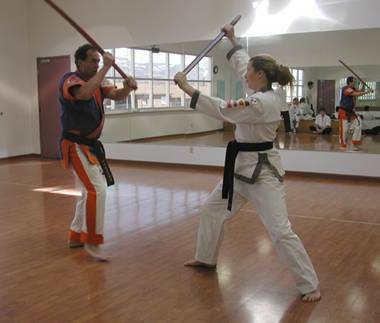 This fierce and highly effective sword practice originated in the mountain temples of Korea, and provides the grounding and high-tension energy that powers the study of the related martial arts in the Kwan Um Do Kwang system. KUDK received its name and official sanction from Zen Master Seung Sahn, the Seventy-Eighth patriarch of the Chogye Order and a key spiritual leader of Zen Buddhism in Korea. While KUDK is a traditional martial art, it differs from most schools in a rather fundamental way. Not simply a synthesis of Korean swordsmanship, long stick, karate, and self-defense systems, KUDK also encompasses Zen meditation, Buddhist tantric practice, Shamanism. In this sense KUDK is a "living art" that continues to develop and grow from the talents, energy, and insights of its practitioners. Zen Master Seung Sahn Lee, known as Dae Soen Sa Nim (Great Honored Zen Teacher) by his students, passed away on November 30, 2004. He was the 78th Patriarch of the Chogye order of Korean Buddhism, and the founder of the Kwan Um Zen School. 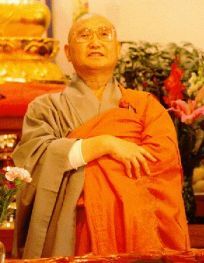 His books include Ten Gates, The Compass of Zen, Dropping Ashes on the Buddha, Only Don't Know and The Whole World is a Single Flower - 365 Kong-ans for Everyday Life.